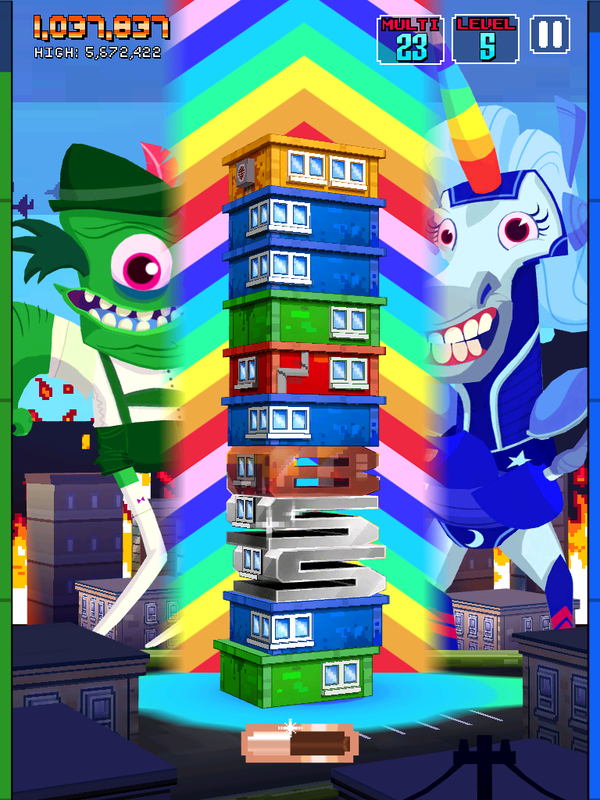 These terrifyingly colorful monsters compose the titular condo munching monsters you have to please by feeding them condos, ideally of the same color, as quickly as you can before they throw a fit. That’s not all, of course. 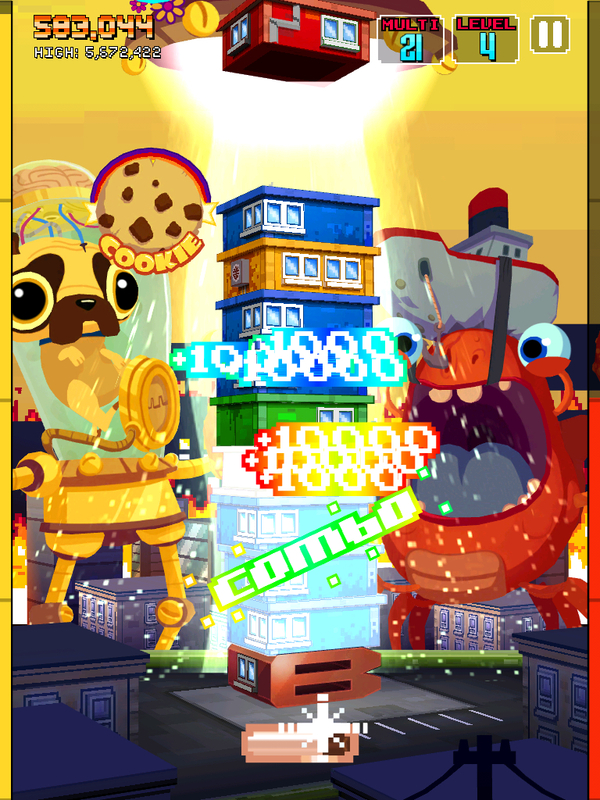 You have to create combos of the same color condos, and of that combo, make even more condos (bronze, shiny, gold, diamond and God knows hat else) to score major points. These stacked condos are balanced precariously tower style, a la Jenga or UNO Stacko, and on top of everything else, you have to keep the tower from falling. Of course, there are concrete buildings and bombs that pop up to make your life hell. 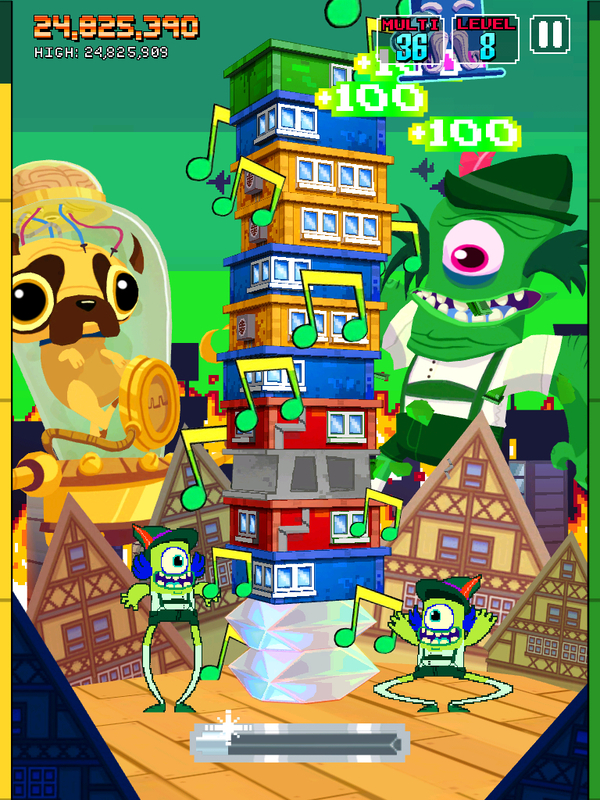 Monsters have their own special power ups, if you can activate them. 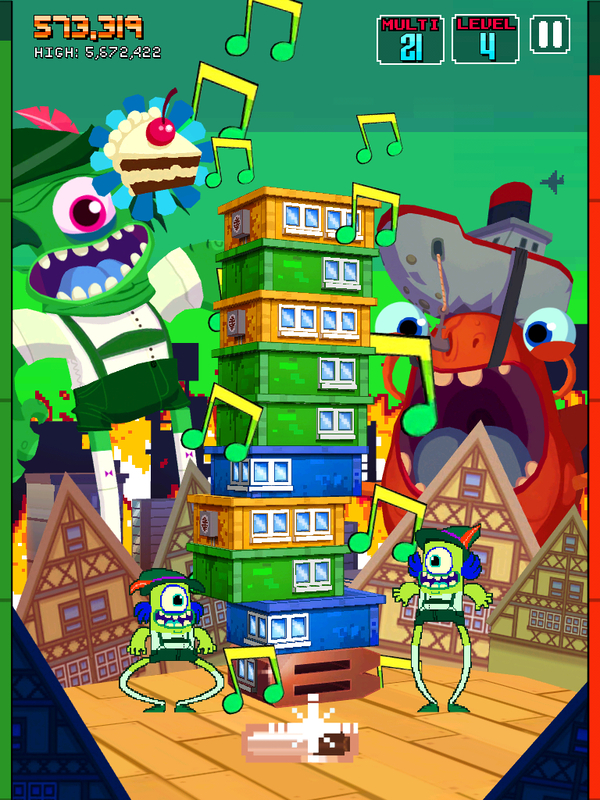 As you can see, Monsters Ate My Condo is incredibly colorful and the accompanying music and sound effects all make up the surrealistic experience of playing it (just watch a Japanese gameshow and you’ll get an idea). 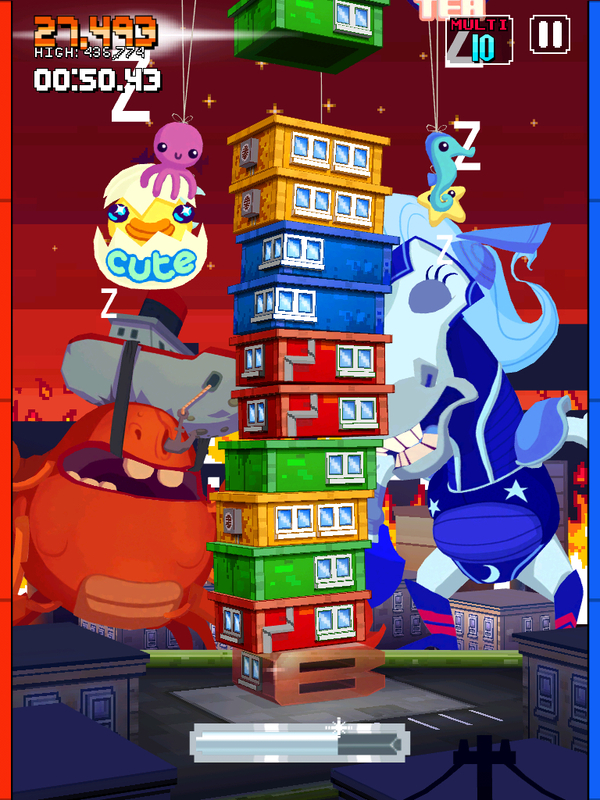 Don’t be fooled by all the craziness, however, because the core of this game is incredibly good match three/tower stacking mechanics. Right now there are only two modes: endless and time attack, plus tons of achievements, which should be more than enough for now. I do hope, however, that online multiplayer will eventually be added to the mix. Easily one of the best games to come out this 2011, if not for its sheer audacity and fun, this fantastic game is also incredibly cheap for its quality and content. Don’t get me wrong, I’m sure the guys at Adult Swim will be laughing all the way to the bank with this surefire winner. This game is highly recommended!